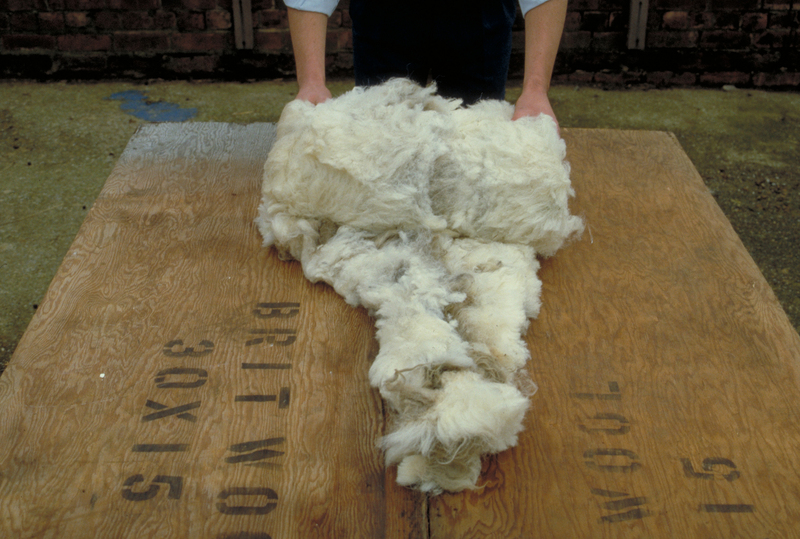 After shearing, throw out the fleece on to a clean surface, flesh side down. 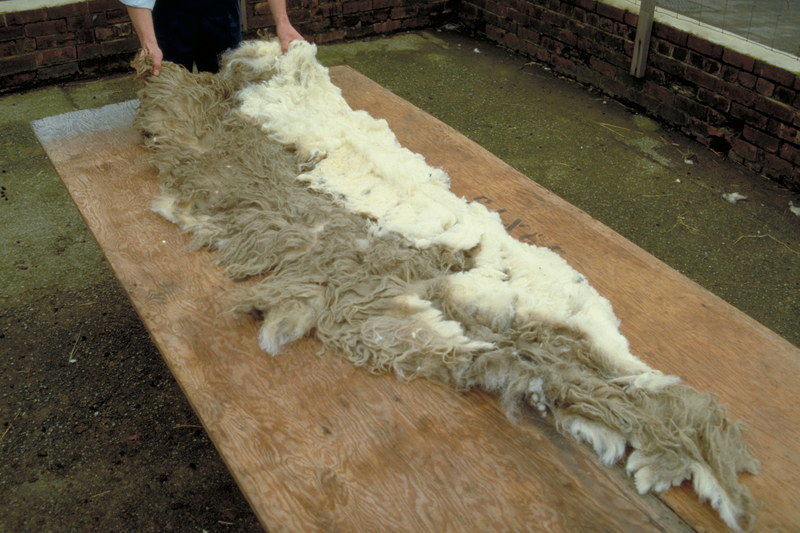 Fleeces from Blackface, Herdwick and Rough Fell breeds should be laid flesh side up. Remove any extraneous matter and daggings which may have been missed pre-shearing. The finished fleece is firm and secure. Place the tucked fleece firmly into the wool sheet. Do remove all claggs and daggings. There is a price penalty for claggy and undocked fleeces. Don’t mix hill wool with lowland wool. 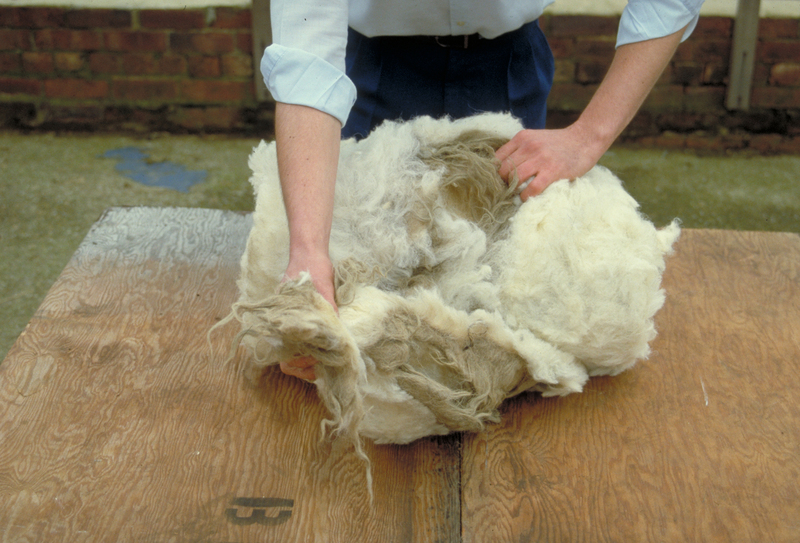 Kemp from hill wools can cause cross fibre contamination and spoil lowland fleeces. Do roll fleeces properly. 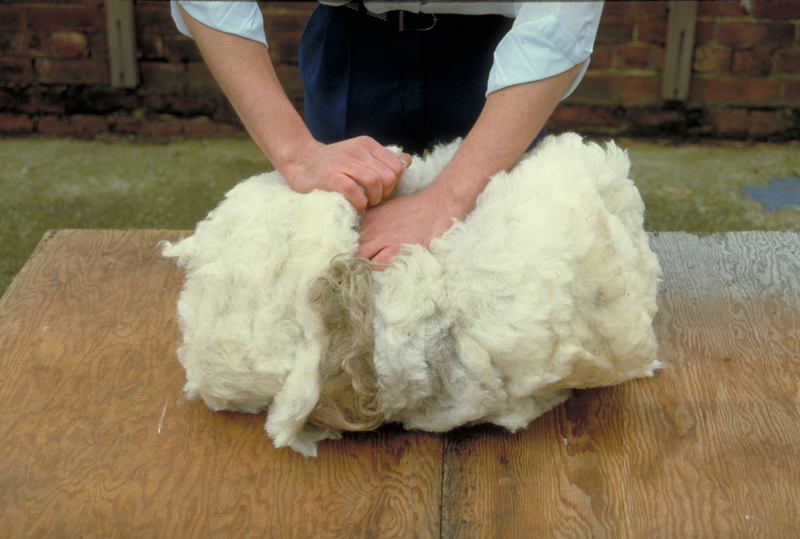 Only fleeces which are rolled can be graded and paid for at fleece wool prices. 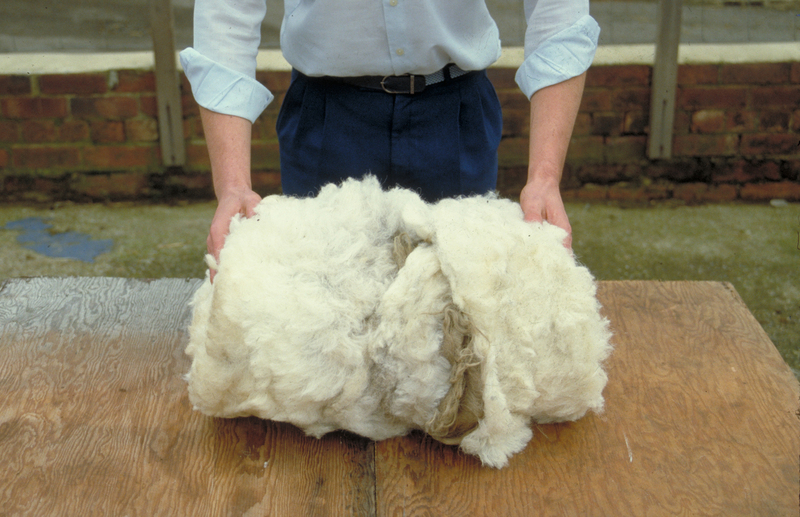 Unrolled wool will be valued as ‘broken’ wool, which is paid at a much lower rate. Don’t mix coloured wool with white wool. This can also cause cross fibre contamination. Do pack different breeds and types of wool into separately labelled containers. Don’t mix hog wool with wool from ewes and wethers. Don’t mix oddments with fleece wool. Follow these simple steps to maximise your clip value.